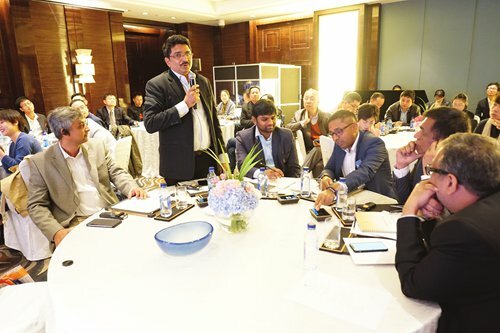 The seminar on the Promotion of Indian rice in China took place in Beijing on October 29, during which several Indian rice producers introduced their products to Chinese rice importers. The event started with the opening remarks by Prashant Lokhande, counselor of the Indian Embassy in Beijing, followed by Bian Zhenhu, president of the China Chamber of Commerce of Foodstuffs and Native Produce. Arvind Kumar Gupta, a representative from Agricultural & Processed Food Products Export Development Authority, explained the latest updates to the Indian rice industry and the export potential to the Chinese market. Samples of Indian rice were presented at the event to showcase the new exchange.